Ancient Temple discoveries, Red Heifers, and the Golan Heights. This Shabbat marks the confluence of the Torah reading of parashat Tazria, the special Sabbath of parashat HaChodesh, and Rosh Chodesh Nisan - the first of the Biblical months, the "Month of Redemption." The common theme of all three is renewal! This week's Temple Talk program explores the elusive concept of "Biblical Purity" as a complete world-view which affords a true view of reality, as opposed to the virtual reality which reigns supreme today. 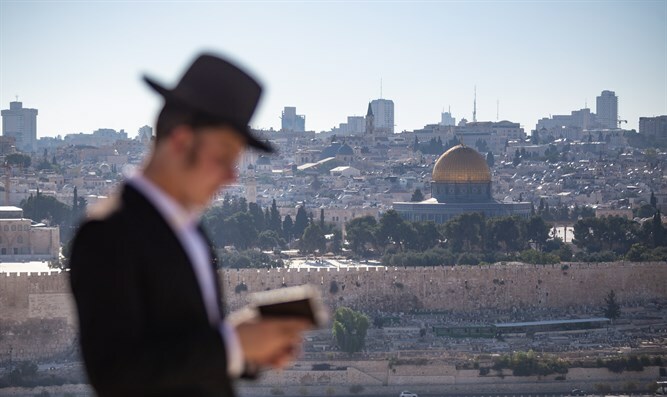 Yitzchak Reuven and Rabbi Chaim Richman also discuss their feelings about the upcoming elections in Israel, and share some exciting and fascinating news about the Holy Temple.